Low profile for improved aerodynamics. 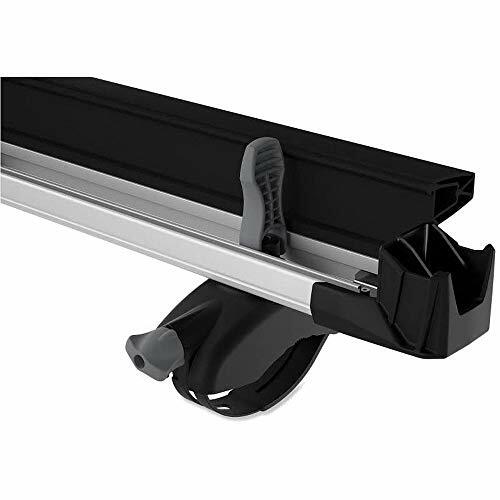 Adjustable vertical spring system reduces the carrier height when unloaded while accommodating all thicknesses of skis. Two sets of height extension T-track feet. Soft rubber arms to protect skis. 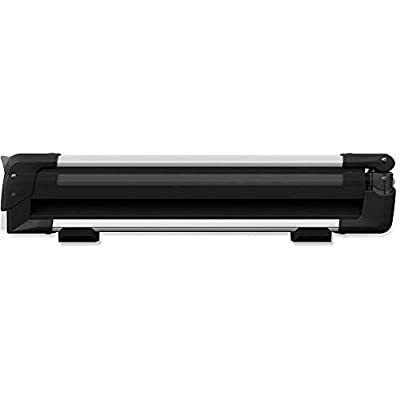 Large push button opens by pushing in a natural ‘up’ motion. Corrosion-resistant aluminum arms. One-key lock cylinders. 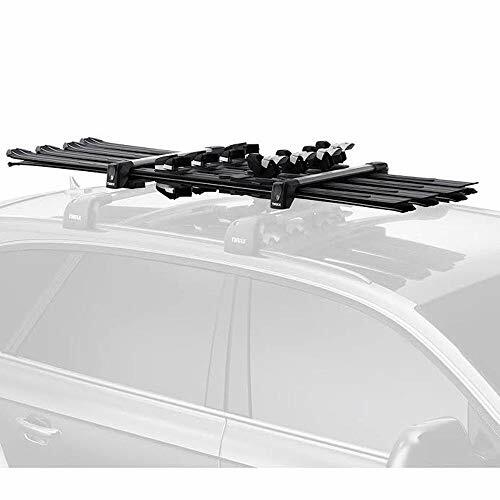 Fits Thule rack systems, round bars and most factory racks with both T-Track and SpeedLink. Load capacity: Up to 4 pairs of skis, 2 snowboards. Room for high bindings. Imported.